Cough, Medical Concept with Pills, Injections and Syringe. 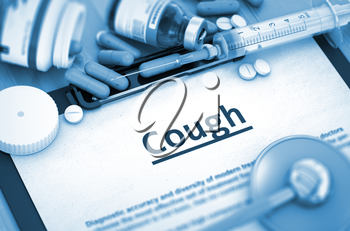 Cough - Medical Report with Composition of Medicaments - Pills, Injections and Syringe. 3D Render. Toned Image.